Are you getting bored with marketing campaign due to very poor Facebook engagement? Maybe you’ve enough friends connected in the Facebook profile, but not finding engagement on your stuff. Then, this is the topic for you. To make your Facebook presence loyal, responsive and super engaging with enough audiences, you need to be habituated with some best practices daily. Here I’m showing you the 100 Facebook engagement quick tips as below, just follow and become a superstar on Facebook Marketing. As you love yourself expose as an expert on your own industry – on your product and services. You need to set a clear photograph on the profile which is clearly recognizable. The reason is that your brand will be formed around your product and you. Set a cover picture that reflexes your professional presence and trustable aim. You might take a help of a professional graphics designer to make it excellence. Complete the “about” section with your significant information that follows the company stands as well. The right information could direct the audience mind towards engagement. It is one of the best parts of Facebook engagement quick tips. The cover image bears a great importance to the audiences who visit your timeline after getting an entry. Make sure that the cover image size is optimum as approve FB authority. Facebook authority, allows your cover photo should be displayed at 820 pixels wide by 312 pixels height on computers and 640 pixels wide by 360 pixels height on your Smartphone. Check out the quality of the cover image that exposes the higher value of attraction to the audience. According to Facebook, a profile photo should be 400 x 400 pixels within weight 100 KB file size maximum. So, never forget to do accordingly, though uploading system will direct the ways. Releasing controversial content could instigate the idle audience to switch on your content to engage. Making an adequate conversation on the Facebook, you could resolve the issue and make audience engaging. Any content that you post on Facebook you might ask for the feedback. But, the strategic request could be on the basis of reasonable topic or issue. It will help you to get better engagement from the audience. There are some social games included with Facebook and there are a significant number of audiences there as well. The social games could help you to find them in your relationship pan to fry them for your purpose. Sharing is a great caring. In your business fan page, you might share your fan content to inspire them to engagement. As much of your fans’ stuff come to your pan, they will engage in your stuff as well. It is an amazing “give & take” way to get them engaged. 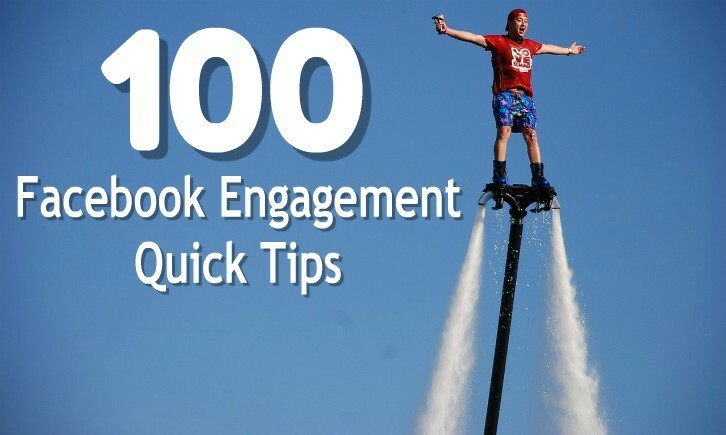 It is one of the best Facebook engagement quick tips. A question with worthy wit or intellectual value could grab extra attention in the audience circles. Sometimes, these questions could bring effective result from the audience. And, it helps to make a relationship. Ask your fans or friends to make a choice from a post you released making options. This sort of post inspires to the audience to take a quick action upon a curiosity. A single image is more powerful than thousands of words. So, make an image that is full of your service-worthy. Create images with an engaging design. 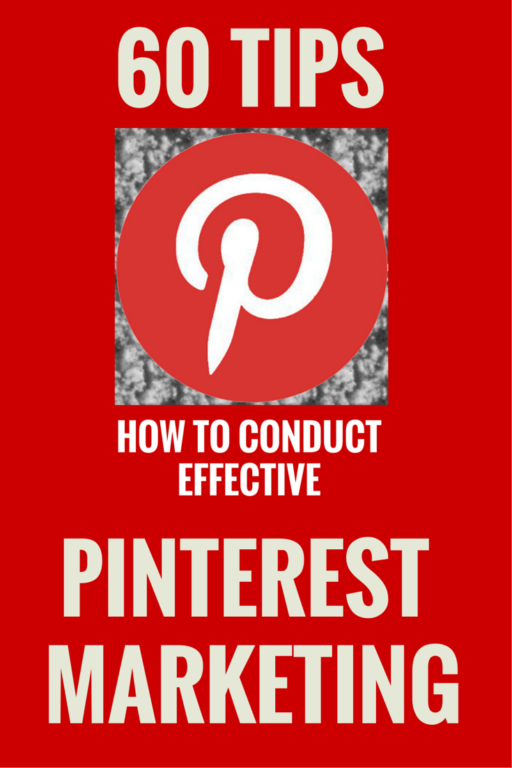 You can use Canva to create engaging images for generating more Facebook engagement. Insert the useful information in the content will be empowered to provide usefulness. As much rich idea as you possible to add you could find more engagement, traffic and sales. Make a worthy comment on others post and connect to the audiences who are included with the person you react. An effective comment might help you to get more other friends in your circle. CTA is the golden door you seek people to go through this. It is precious to set CTA in the profile and other settings as much as possible. Sometimes, you might release content including a CTA that works. It is crucial to insert and best Facebook engagement quick tips. Fill in the blank is a way to get more engagement from the listed fans or friends providing curiosity. Though the style of presentation matters on the response, follow the value of IQ and EQ on the post. Create blog post carries higher values than the competitors. The best blog post might help you grow more audience in your prospect circles. The relevant hot news is always appreciable for all sorts of audience. It helps to stay in touch with the up-to-date knowledge base of the industry. So, let it be done in terms of your generous support to the audience who trust you. A common courtesy comes upon each of the comment made by your fan or friends on your post. Never delay appreciating your audience on their precious comments. In the fan page, call to the fans to share relevant images. Though popularity matters, you can ask your fans while they have a chance to take part in the image shares could help you to get their engagement. Sometimes it goes worthy while you share entertaining something to the audience who loves to get like this difference. But it is best to keep up the relevancy so that fans or friends find a valued manner in your each share. Photo quotes are little more value added form of free image posting. The quotes that are industry related you can compose in the relevant images. This sort of photo quotes could help you attract much more attention to the audience to be engaged and remark upon. Calling a debate on two crucial issues might help you get more audience engagement. Such as likes vs Comments. You can ask the audience which one is more valued and why. There are lots of issues to make a debatable point for releasing post on Facebook. Sometimes make a status-post appreciating your fans and followers that they are living oxygen of your presence on the Facebook. It helps not only getting engagement, rather boosts your profound relationship that happens sales. 2 image with vertical: 237px+237px wide 476px tall, and like these. An optimized size of an image is best to be displayed in right order. It’ll produce the best appearance on Facebook that increases audience engagement. Make a schedule of engagement strategy that how the FB marketing to be approached in an appropriate way that increases audience engagement. A plan like this will empower the business to harvest fruitful results. One minute or less than one-minute short length videos are excellent to generate Facebook engagement. To grab the busy audience mind into the story, it is a powerful idea that works. So, you might compact your business information into an ideal short story in the video to boost your prospect engagement. It deserves one of the best Facebook engagement quick tips. Sometimes, it is wise to let your response goes upon the posts of your viewers. It generates a mutual response and fastens the viewer responsibility to come on your stuff for the next action. So, let it be your best part of the FB practices to increase audience engagement. A live presence on the fan page, timeline, Messenger and group activities is an essential at least twice a day for a time. A comprehensive schedule might help you to be like this practicing habitual presence. It is essential to growing audience engagement. Pick out the latest blog topic that is unique and people look for a solution on the issue. There are many places you could find the stream of topics you might pick out, such as Feedly, Quora, AllTop or LinkedIn. You have a serious issue, or make a critical issue, and ask for the solution. There are many enthusiasts in your FB friends and fans who can provide relevant data to make your issue soluble and worthy. This is the way to boost audience engagement as well. A post on the pick time or hot time of the audience time zone could bring engagement multiple sizes of the audience on the topic. Besides, the every day of the week is not equally important. Get the opportunity of the advantage of the day and time for each post. It is crucial and unavoidable to maintain a schedule of posting time and day on the Facebook. A schedule might help you to bring the post frequency and consistency in posting campaign. Humor is a favorite way to bring the audience in engagement. How profound can a humor be made that helps to melt the audience mind? It is matter while you select a post that generates humorous emotions. So, make a strong humor using best emotional techniques. A content made with emotional intelligence could able to drive much more audience on the post. Any content you release on Facebook you might follow the rules of emotional intelligence to boost audience engagement. Any state or data that is quite remarkable to aware people regarding the industry issue could make the engagement. In this case, you might make a short infographics so that people keep it up in an own note. 36) Do not forget about weekends! The weekend has a different type of taste in professional life. Everybody looks for the exceptional thing that makes their off-day amazing with something precious on Facebook. That is why the weekend is a notable holiday that looks for amusement and worthy information. A worthy post is always precious to the audience while they find a great solution. This type of post you might promote frequently for a long time that generates engagement. On Facebook marketing, a jargon doesn’t attract an audience mind. They weigh at least a value that motivates them to engage in the stuff. So, you’ll have to measure the value before releasing content on the Facebook. You can use the hashtag on a trending topic, though hashtags are not popular on Facebook. An attractive serial post might grab huge attention to the audience while it goes with a serious topic, up-to-date information and news. Recycling old post is a great idea to oxidize the blog. Every blogger has enough old posts in his/her post archive. You might recycle the previous posts editing up-to-date info that carries enough importance to the Facebook audiences. Native video works amazing and gets multiple times audience engagement. If you do not have a professional voice to make a video clip, you can hire someone or buy from Fiverr. While you upload a magnificent native video clip, you can promote it using Facebook Advert as well. Facebook PPC advert has a retargeting AI that helps to promote precious content goes even viral. Any part of the world or around the whole, there are some occasions, such as seasonal, religious, international and national and so on. You can schedule the great occasions and take advantages celebrating them. Every occasion is a great source of the event to make your Facebook engagement field more precious, loyal and trustable. There are lots of content resources around the web you can pick out the best ones. But you need the resources to be curated to make the content relevant and valued as per your own industry. It really works and grabs audience engagement on the Facebook marketing. Polling or quizzing is an effective idea to create a big impact on your FB marketing. Declaring prize or without a prize, you can start an interesting quiz or poll to make the audience more involved in your stuff. The hashtag is not workable on Facebook. It doesn’t appeal to others getting engagement. So, it is better to avoid this practice in general postings in the FB. But, in the case of any series of posts under the single topic, you might keep up a hashtag. Giveaways are a powerful method to get audience engagement in the event. It is looking like a quiz or contest on an offering something like a special prize as a giveaway. It helps mostly generating leads, Facebook fans, branding and even sales. FB audience looks for content in diversified shapes and interests. While your content embraces the fans mind and blows the value in the desired shape, they couldn’t wait to respond to it. To make it really happens a fruitful engagement, content should be tailored accordingly. If you have an event in the relevant industry is running. Then, you can start a live stream promotion on the Facebook. Usually, if the event is a mega celebration, this sort of live stream could bring a better result to get engaged by the audiences in remarks. Suppose, you’re going to upload a course offered in the Udemy, you might disclose a course sketch on Facebook in advance. This type of declaration could help you to get more ready buyers out of the training box. There are many free tools offer to take advantages of them. You can pick out Buffer, HootSuite, Canva and any other convenient tools to keep your promoting faster and timely. As one of the Facebook engagement quick tips, it is essential to deliver the blog links quickly. Quora is a biggest Q&A platform you might take advantages of its stuff generated by you for Quora Traffic. While you finished a reply on a very relevant issue, you can share the answer on Facebook using social FB tool located in Quora. 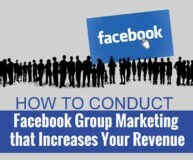 It will help you keep in touch on the issue with FB audiences. Like Quora, you can share any valuable content from other channels, such as YouTube, Instagram and so on. This sort of efforts will make the Facebook audience more curious to you in terms of gathering more knowledge as their base. Message and FB Messenger marketing is a powerful part of the Facebook marketing that builds a relationship. Using interactive message you could have a scope to make a relationship and make them engaged inviting in the content. The Facebook business page is a very important center for conducting business approaches. That’s why every single comment on the stuff in the business page is very important to take care and value with a significant reply. Every business page follower is linked with your blog posts. While you generate a new post, it goes in touch with the followers who are located in the FB business page. That is why promoting the page using FB marketing is important to enrich the business center. Following a schedule, you might share the link in the relevant groups regularly. In fact, FB movement is more sensitive than other social platforms, though it has a direct approaching Messenger to contact. It matters what type of new friends are being entries in the audience circle. Every branch of the FB marketing tree should be audited time to time to measure and figure out the obstacles to success. In terms of your business success on Facebook, your top most important responsibility is to make your audience motivated and inspired. While the audience is being inspired, it will fuel up him to move towards the conversion and sales. Using a group or messenger, it is possible to keep the old customers in touch by dint of real-time service. Customers mind is service-sensitive as per product nature. That is why you might build an effort of better service mile-stone on Facebook spending your loyal readership. When you discuss the issues that go in the positive stream will help to the new prospects to be engaged in the group. This is the era to build relationship marketing in terms of gathering increased audience engagement. Although the relationship is a matter of time-being as well, it works without fail. FB Messenger is the best tool to approach this sort of marketing for more audience engagement. The old posts which were popular in FB can be reposted somewhat reshaping the values or forms. This idea can be used in terms of blog post representation on Facebook as well. You might check out the competitors best quality contents and can share on FB without link sharing. Even any others content relevant to your industry can be shared for making more engagement of your audience in the business center or timeline. Make sure that your company is doing best in financially, achieving enough revenue and they are committed to serving the new customers by any support they require. A better accountability and responsibilities might generate more trust and Facebook engagement on the content. The news content has an extra value to the audience. Share the news content including your rich remarks upon the insights. It is too, a way to make audience engaging n the content with further interactions. Live chat helps more Facebook engagement, though the process is slow to make an easy way for further navigation. Live chat refers to make a relationship first, then the stage come up to make them able to visit the content. You might have scope to furnish a FAQ page on your blog site. Then you can share the same on the Facebook. Or, you can sometimes make some Q&A in terms of your product or service clarification to the prospect. This type of cultivation could help to grow more trust on your product or services. Emoticons are impressive item can be inserted on the humorous plain texts on FB timeline. Even, you can use while you wish a good luck to the audience who celebrate their birthday. The timeline is usually full of initial members’, who are not stranger as the audiences. You should build a plan to release a contest every week on the timeline. It can able to create an engagement that results. Try to post with the impressive single image instead of unworthy multiple images that divide the audience attention. While you operate a group and being engaged in group marketing, never forget to pin up the latest post with CTA. Sometimes, you might re-share the same post to other groups to spread the link around the Facebook. If there is a chance to make a representation that the users’ content can be replayed to ask them for more engagement. This sort of participation could enrich to generate more content. It is an engagement strategy to boost the presence of users on the Facebook content. The GIF images are still great in appearance while they go in the right direction of the relevant stuff. So, in terms of increasing engagement, GIF content could sometimes make a worthy post for the Facebook engagement. You might pre-schedule your posts for the weekend campaign. You can use Buffer tools to pre-schedule the posts. Even make a handy schedule that what is the content will be posted on weekend period. Taking a right period of time ahead of any special event, a Facebook audience engagement can be arranged. Such as Halloween, Black Friday or Christmas day can be scheduled for the special celebration asking various photo competition or quiz content. Then, an event page can be opened for celebrating the day. It is not only own stuff, rather sometimes you should take part in the others comment and reply significantly. This form of valued reply could attract to the fellow participants to go with your interaction as a friend. Thus, you can increase your friend’s circle and engagement. A few days earlier of a scheduled webinar, you might campaign engagement marketing. In the eve of the webinar, you could find enough number of leads and basic engagement upon the topic. To make your business successful through the service marketing widely, you’ll have to approach in-depth campaign more effectively. That is why; you can generate more than one strategic platform for the group marketing. Sometimes release a life event regarding a relevant topic of your product. There are many issues to introduce an event. An event can be issued on a webinar or a meetup on the basis of an upcoming occasion. This type of event will increase audience engagement on your business contents. You have an opportunity to raise your product or service features using Facebook Note. It helps to connect with the fans’ opinion upon your product and services. You have scope to present your offer to the audience explaining your product-though elaborately. Your business might be your audience business as well, while your deal connects their interest. So, try best to make your deal dream-worthy and genuine to uncover the benefits by your prospects. Infographic is an amazing form of presenting information to the audience. A right design of infographics could attract the audience mind and get them in engagement easily. So, you might take this way of your content marketing on FB offering powerful information. Some simple words like “wish you a happy birthday” become 10x precious than the regular words. That is the reason you should appreciate and celebrate each of the birthdays of your fans and friends regularly. It really works amazingly to get engagement. The customers who already purchased your goods or service are your special buyer. You have a responsibility to appreciate them specially. In terms of like this, you can keep them in touch in a private FB group and sometimes ask them whether they are enjoying the product or not. This type of connection might generate more trust and they can be repeated customer forever. Short URL is literally FB marketing friendly and it generates more engagement than a normal long URL. You can use bitly as your link shortener and management tool. So, make your link posting audience lovely that helps to get more engagement. A regular post has its own worth of greatness in terms of business presence on a prime social media. In addition, the regular post gets much more engagement than an irregular post. So, be regular and never give up. You might have enough number of other social media friends or followers. Then, sometimes you can share the fan page among them. And, you can request your other friends to share or retweet the link for spreading out the page engagement. The slide presentation is a great way to attract to the audience. It can able to increase some audience on your FB marketing. You can create slides on SlideshareDotCom. And share the same on FB to make more engagement. Even you have a chance to create music slides on YouTube and sharing to the FB fans as well. There are some processes to make a post viral. FB has the biggest role to lift the post goes viral. While a post comes on FB, you might play the role of viral factors and get more engagement. In the eve of national or international leaders’ birthday, you can celebrate them posting a special status on their special contribution. The content presentation style will make the appearance unique and you’ll get more engagement. Never ignore the prospects’ voice; try to respond instantly. Hear out patiently what they want to deliver you in their voice. It is precious to count every feedback to repair your further demerits for acquiring better engagement. There is a chance to increase audience engagement using influencers’ or other rich accounts. While you post an important content, you can tag the accounts that are quite relevant to your industry. Success stories are a golden achievement. It has the power to make your FB marketing presence more glorious and engaging for the audiences than nothing achievement. So, pick out the stories and let it be shared on Facebook with evidence. It is one of the important Facebook engagement quick tips. If fact, customers are real boss of the entrepreneurs. Because they made you king while you approach everything in right order. On the basis of this truth, you should prioritize social customer care and pay them proper support in terms of your thriving journey. A plan of comprehensive strategy depends upon the experiences you got on the past happenings and which factors you got worked out best or worst. On the basis of that insight, you’ll have to remake a natural campaign plan for FB that helps you grow more engagement. You might release a video which is already popular on YouTube or highly potential new on the web that deserves a winning dominance, can challenge others to beat on the effort. This is just a video content that able to make more engagement obviously. Questions are great to make Facebook engagement while it carries deep thought relevant to the industry. Sometimes, you can release questions like this so that any gap of posting might be filled up with this status. As a part of diversified FB marketing plan, you can approach a personal conduct through your messenger or in-boxing message to any potential audience. It is sure you’ll find a result and could able to build an engagement relationship. Instagram is another popular media and the nature of image based approach is little different there. But you can share the same from Instagram and can make your more engagement on Facebook as well. If you use an FB tool on Twitter settings and allow, you’ll sure find every post of Tweeter on FB as well. But, if you do not like this, at least you can share the quality posts on Facebook. It will obviously make some extra engagement on Facebook. The last, but one of the best Facebook engagement quick tips is to build up an interactive community. Set a goal for building an interactive community. It will be your ultimate campaign target. The community should be created with a wide range of active audience. In this purpose, you’ll have to conduct a set of comprehensive campaigns regularly. Facebook has the biggest outreach on the web. It requires key techniques to make sure of enough audience engagement. Initially, it is a little bit challenging to encourage and drive enough audience on a Facebook fan page. But it is not difficult to find the prospects available on the sales funnel, while you do not give up the efforts, and strive continuously. Get your confidence, you’ll surely find your golden highway of revenue stream on Facebook using the hundred quick tips.